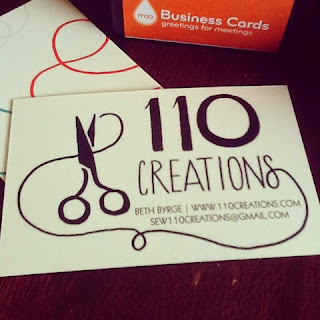 110 Creations: New blog design! Also, I finally realized that my blog is entered twice on Bloglovin (once with its old blogspot URL and once without) and I'm "claiming" both. Nothing new for you to do, following either one works! Yay! Always nice to get a blog facelift. If you contact Bloglovin and give them your old and new urls they will combine them into one and move your followers into the new. I had them do that for me. Yay, thank you! I was wondering that yesterday but didn't have any luck Googling about it. I'll definitely do that! I love the changes! Everything needs a facelift from time to time and yours is well done!